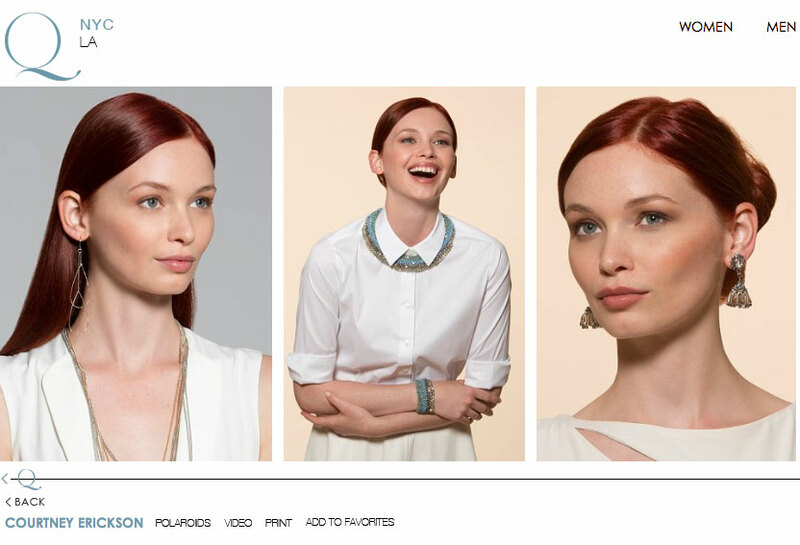 Just sent an email campaign out to my contact list using an image I shot for jewelry designer Rush by Denis and Charles. I love the huge smile that model Courtney Erikson (Q Models NYC) is giving! Special thanks to stylist Rod Novoa and makeup artist/hair stylist Virna Smiraldi for the “difficult” task of making the beautiful Courtney more beautiful! I just looked at Courtney’s online portfolio. To my pleasant surprise the agency is using 3 of our photos as the lead images on her page!